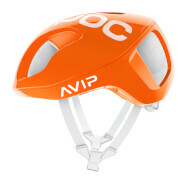 Casco brings German design and manufacturing to deliver aerodynamic and innovative road Helmets. Casco supply the German Olympic Cycling Team alongside many other professional Cyclists and Triathletes. The Casco Speed series offers aero performance and excellent fit with innovative features such as insect guards and a one-hand flip up Speedmask visor which can also be fully removed. Casco Adaptive aerodynamics adjust to the rider's body position and head posture delivering outstanding performance in any position. The helmets shape promotes airflow through its double-shell construction and multiple break-away edges cut air resistance. 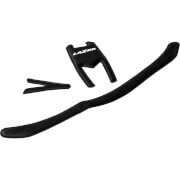 The Casco-Loc clasp makes for a quick one-handed removal plus rapid and secure fastening when time is critical. 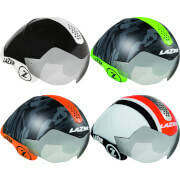 The Casco range offers ultimate safety and protection complies with the European regulation EN 1078. AirFit – Contact free fit that creates an air cushion between the helmet and the riders head whilst maintaining a secure and comfortable fit. Carbonic Speedmask – Optical class 1 lens can be lifted and closed with one hand or removed completely. Fits perfectly over glasses. Great Helmet. Perfect fit, great visor excellent aerodynamics. I needed something a bit more aero than my ordinary Kask helmet but I didn't want to go the full hog as there was no justification for it. After reading a few reviews of this item I decided to take the plunge. Comfort wise I cannot feel it is there. The basket cage that sits the shell on your head is very comfy as is the strap. The strap mechanism was a little tricky at first but once mastered is ok. The vents are good and dissipate the heat effectively. The visor. The visor I think is great. It sits nicely in front of the eyes with a small shaped piece of sponge for the bridge of the nose. It also protects the eyes effectively from the wind and with no arms from your glasses pressing on the side of your head, it feels extra comfy. I gave four stars as I cannot measure the overall aero advantage, it for me is very comfy. Colour, red and white goes with my 2015 P3. Happy cyclist. I searched long for a good ventilation helmet. After ordering i recieved the helmet very quick. And after a testing ride of 90 Km it stays! Great helmet but be careful with the sizing as it runs a bit small. Quality is excellent. nice helmet, low weight, good ventilation and of course you can´t see a rider with same helmet every day! There is very little to nothing that I don't like about the helmet. The visor is ridiculously clear and rests nicely on the nose. The adaptability of the fit is staggering. The only negative that I can think of (and this is really searching) is just the size of the helmet case is massive in comparison to the helmet, I ended up padding it out.